The Building Books podcast is thrilled to welcome Dr. Willie Jolley, an award-winning speaker and singer, best-selling author and popular media personality, to the show. Dr. Jolley has achieved remarkable heights in the speaking industry, having come from humble beginnings as a fired singer who was replaced by a karaoke machine. You’ll have to listen in to hear that full story! Willie Jolley is an award-winning speaker and singer, best-selling author, and popular media personality. BenBella is bringing out his latest book entitled, An Attitude of Excellence: Getting the Best from Yourself, Your Team, and Your Organization. Jolley was named "One of the Outstanding Five Speakers in the World" by Toastmasters International and has been inducted to the Speaker Hall of Fame by the National Speakers Association. He is a recipient of the Ron Brown Distinguished Leadership Award, has been named "One of the Top Five Speakers" by Speaking.com, and dubbed "Business Leader of the Year" by the African American Chamber of Commerce. Glenn Yeffeth: Well, I'm thrilled today to have on this podcast the amazing and inspirational Dr. Willie Jolley. Willie has been named "One of the Outstanding Five Speakers in the World" by Toastmasters International and has been inducted to the Speaker Hall of Fame by the National Speakers Association. He's a recipient of the Ron Brown Distinguished Leadership Award, named "One of the Top Five Speakers" by speaking.com, and "Business Leader of the Year" by the African American Chambers of Commerce. He's a radio host and best-selling author, and BenBella is bringing out his latest book this month ... actually, next month. It's called, "An Attitude of Excellence (Getting the Best from Yourself, Your Team, and Your Organization)". Glenn Yeffeth: William, I am so excited to speak to you, and there's so much I wanna talk about. But let's start at the beginning. How did you get into ... started as a speaker? Willie Jolley: Well, thank you Glenn. I appreciate your kindness and that nice introduction. And for those who might have heard me before and for those who have never heard me, I always start every interview the same way. I have only just a minute, only 60 seconds in it. It's forced upon me. I can't refuse it. I didn't seek it. I didn't choose it. But it's up to me to use it. I must suffer if I lose it, give account if I abuse it. Just a tiny little minute, but our eternities are wrapped up in it. And so I'm grateful for this minute, this moment, to be on with you. And I'm excited about what we've got coming up in the future with this new book. Willie Jolley: Now to answer your question, I started as a nightclub singer. Singing in dark, dank, smoke-filled nightclubs. Singing jingles during the day for companies like, "Pizza Hut, making it quick." And, "[inaudible 00:01:59] Shoe Store, it's really hot!" "BET, Black Entertainment TV." I started jingles for [inaudible 00:02:07], Cadillac, Washington Gas, Pet Co., 7th Heaven, 7-Eleven, cruise ships, news shows, Phil Donahue. I've sung a lot, a lot of jingles over the years. And I made my living during the day singing jingles, but the majority of my income came at night when I sang in nightclubs. Willie Jolley: And I was one of the top nightclub performers in Washington, D.C. area. Won the award for best jazz singer five times in a row, five years in a row. And I had made a pretty good living singing in nightclubs. Well, one night I went in a nightclub, and it was going great. People were there, packed out. Club owner said, "I wanna talk to you after tonight's show." So I told the guys in the band, "Hey, they wanna talk. We've been selling out for six months. We've got standing-room-only audiences. It's time to get our way." Willie Jolley: So we walked in his office, or I walked into his office that night. He said, "You were great." I said, "Thank you." He said, "The people love you." I said, "Yeah. I'm glad we got a full house." He said, "And you know we love you." I said, "I'm ready to go the next seven." He said, "That's why it's hard for me to tell you, but the owners of the club have decided that they're gonna try something new that's filling up nightclubs that's a lot cheaper than the band: live entertainment. They bought a karaoke machine and they figured you buy it once and it's filling up nightclubs all over America." Willie Jolley: And I was shocked. Glenn Yeffeth: Oh, that's brutal. Willie Jolley: I said, "But what about my bills?" I mean, I was shocked. And I realized that night, nobody really care about your bills but you and the people you owe. So I went home and told my wife, I said, "You know what, that's it. I really work hard to get this club to be number one in the market and that builds its audience and have standing-room-only audiences, and how did I get rewarded? I got fired and replaced by a karaoke machine. I'm gonna do something else with my life. I dunno what I'm gonna do, but I'm doing something else." And I took a job with the Washington, D.C. public school system as the drug prevention coordinator. Willie Jolley: They were looking for someone who had a background in the music, and drama, and the arts to help them with creating programs to get kids to stay away from drugs. And from the little kids, the teachers would say, "Well, that was good. You were good. You were entertaining and funny and can you come to my teachers' group?" And I'd go to the teachers' group and someone there would say, "Hey hey hey, can you come to my company? My church?" And then I'd go there and more and more people would come up and say, "Hey, can you come to this and that?" Willie Jolley: And then Les Brown, the great motivational speaker, heard me speak at an event. And the fact that I spoke and I sang at the end of the event ... He was looking for an opening act for a new tour he was launching called the "Music and Motivation Tour". And he called me and said, "I loved what I heard today and I'd like you to be the opening act." So that allowed me to gain name recognition beyond the local place and I got on this tour with Les Brown and Gladys Knight and Billy Preston. And they introduced me to so many people. Corporate people, radio people, and so forth. I started getting more invitations to speak at corporate events and then got a radio show. The radio show started locally in one market and then got syndicated. And now I'm on XM, Sirius XM. And moved to television and then TBS. Willie Jolley: And things just kept growing and going and in 1999, I was named "One of the Top Five Speakers of the World" by Toastmasters. In 2005, I was inducted into the Speaker Hall of Fame. A few years after that, named "One of the Top Leadership Speakers. And just last year, a "Legend of the Speaking Industry". And it all happened, Glenn, because I got fired and got replaced by a karaoke machine. And outta that came a whole topic and book and PBS special called, "A Setback is a Setup for a Comeback". And that book has been very popular around the world and then the PBS special has done well. Willie Jolley: And now, we talk about how we use those same principles with Ford Motor Company, and how they went from being on the brink of bankruptcy in 2006, and I worked with them in 2006, 2007, 2008, and in 2009 Ford was able to reject a government bail-out and go from losing a million dollars a month to making a billion dollars a month. And they did it using this principle that we spell out in the book, "An Attitude of Excellence". And how we learned in those years, myself and my family and my team, from the Ford experience, how to use excellence and an attitude of excellence to turn around your life, your company, and your future. So I'm very excited about what we have been able to learn and put into this book. Willie Jolley: This book is dynamite. I was telling ... I got a call this morning from the Chief Learning Officer at Norton Healthcare. And he said, "I just wanted to call you and say thank you for the insights." I had sent him a pre-copy of the book, and he said, "I'm ordering copy boxes of them for my people because these insights are exactly what we need as we grow to the next level, so I just wanna thank you." So we're gonna really try and help a lot of companies, a lot of organizations, a lot of churches, a lot of community organizations, community groups to grow their success by using the principles that I learned from the Ford success story. Glenn Yeffeth: That's fantastic. And I noticed that on the book, you've got an amazing blurb from Alan Mulally, who's that ex-CEO of Ford who's really legendary in industry for turning around Ford, and you were part of that turn-around. That's very exciting. Willie Jolley: Oh man, you talk about excitement. When that email came in from Alan Mulally saying, "I love this book. I love this book, and I wanna give you a quote for the book as well as I want to have you send me a box of books when the book was done so I could send them to my CEO friends. This is one of the best books I've read in a long time." So you know, to get that kind of email was just like, "Wow! Wow!" So I'm still over the top. I'm still trying to pinch myself about that. Glenn Yeffeth: You know, I've gotta say, of all the authors I've had, none have been more energetic at going after blurbs than you have. Tell people about how you got the blurb from Stephen Covey, who's now deceased, but it's an amazing story. Willie Jolley: Well, I wrote the manuscript a number of years ago, and initially, I was just printing the book for my immediate friends and clients who had heard about this message of excellence and how I would speak when I'd come to their groups, they said, "Oh, I want that message. Can you get it to me somehow?" So we put a book, it wasn't in stores, it wasn't on Amazon, it wasn't anywhere available for the general public. It was only for my clients. Well, I wanted a great, even for that internal book, I wanted a couple good testimonials. So, I was speaking in Sydney, Australia for the Australian Real Estate Conference, the biggest real estate conference in the southern hemisphere. The other speaker at the conference was Dr. Stephen Covey, who wrote the book, "The 7 Habits of Highly Effective People". Willie Jolley: So, the morning of the event, we were backstage in the greenroom and I asked Dr. Covey, well we took a couple pictures, and I said, "Look, I'd like to talk to you at some point." But his assistant stepped in and said, "Well, we gotta get more pictures and we gotta get more people and you can't talk to him right now." I said, "But I just wanna talk to him about a book." She said, "Talk to me about it." So I talked to her about this book that I got and I wanna get a testimonial from him. She said, "Well, I appreciate that, but we're not doin' any more testimonies. He's sold 50 million books, everybody wants a testimonial. We've cut out all testimonials. All quotes, we don't do that anymore." I said, "But it's a really good book." She said, "I know. I'm sure it is, but no thank you." Willie Jolley: So, that day before we parted, I went to her again and said, "You sure-" She said, "No. I'm telling you no." Well, that evening, we were staying over in Sydney another day or two. That evening, I'm in the gym working out on the bike. And who comes and sits next to me on the bicycle but Dr. Stephen Covey? And he sits there and we start talking. And he tells me that he is staying a couple days extra in Sydney as well and we talk about one thing and another and about family. I had been married at that point about 25 years. He'd been married about 45 years. We talked about family, about children. We had some similar friends from [inaudible 00:11:32] in Utah, I had friends in Utah. He knew Gladys Knight, I knew Gladys Knight. So we became fast friends on that bicycle. Now let me tell you, by the time he came in, I had already been riding the bike about an hour. So I was tired, but I made myself ride another hour! Willie Jolley: So by the end of that conversation he said, "What did you say about that book?" And I told him about the book. He said, "Get the book to me and I'll read it and I'll see what I can do." And he read it and sent me the most beautiful testimonial, and I mean it is just so fabulous. So that goes to show you that if you try to treat people right and be right and do right, that some people say karma can go against you. But karma or positive energy, it can also go for you. So you do the right thing as often as you can, try to treat people right and be upright and respectful, and good things will come your way. So that was one of those wow kind of synchronicity kind of moments. Glenn Yeffeth: That's a great lesson. And not only doing the right thing and good karma, but also persistence and energy and positive attitude. That all came together for you, didn't it? Willie Jolley: It all came together. It really does make a difference. Being persistent and being positive, you gotta do that. And that's one of the things we talk about. In the book I talk about ... The book is an interesting book because it's actually two books in one. So, after the Ford experience, I learned what Alan Mulally had done to turn his company around and then the impact I had on some of the speeches. We did two and a half months, nonstop, every day, visiting Ford plants around the country. You'd be amazed how many Ford plants there are in America. There are Ford offices, there are Ford plants all over. There are hundreds of them. So we did almost 70 events, day after day after day after day after day. And we didn't do the same place twice. Willie Jolley: So the book was first focused on how do you grow your organization, organizational development. But I also realized that one of the keys to successfully growing your organization is to grow the people in your organization because, as I've written, great people give great service. Good people give good service. Mediocre people give mediocre service. And negative people will kill your organization. So, if you wanna grow your organization, you gotta start by growing your people. The best way to grow your future is to grow yourself, and the best way to grow your organization is grow your people. Willie Jolley: So I knew I needed to have, also, in addition to organizational development, the lessons I've learned from Alan Mulally, I also needed to have personal development: the lessons I've learned from my experience in life. Changed my life from a broke-busting nightclub singer to one of the top speakers in America, syndicated radio programs, television, awards, and all of that. What was it that changed me? Just from the city of Washington, D.C. who went to public schools, and I always tell people I was the half of the class that made the top half possible. So I was not the class leader. I was not on the honor role. But, I went from that person to developing a different person by some principles I learned from some wise mentors and some wise teachers and some experiences I learned about success. And once I learned those, I put them in the personal development part so that you can grow the person in your organization and grow yourself, and then the other part of the book is a second book on how to grow your organization. Willie Jolley: And rather than having two separate books that we could sell, I put 'em into one big, excellent book ... a "long book on excellence," I put it like that. Because it is excellent, but it's a book on excellence. And I was telling someone just the other day that I really am impressed with the folks at BenBella. Willie Jolley: The editing team, the people who helped take my ideas and formulate them into a concise, tight, dynamic work that really, it jumps into content from page one. I really was ... I had a lot more ... I'm a speaker, so I had more talky-talky kind of stuff, which they eliminated some of my talky-talky stuff and went right in for the gusto, but when I read it, wow! It took my breath away. It was powerful. Glenn Yeffeth: Thank you Willie. That's very kind of you. Well, I do have a question about attitude because I agree with you that it's so fundamental. But it's worth ... You know, as someone who has been in business for a long time, I've always thought of attitude as something ... you know, you wanna hire people with the right attitude. Attitude is so important. But you've got somebody who's very talented but the attitude isn't really what you want it to be, are there ways of improving the attitude of somebody that's already on your staff? Willie Jolley: Oh, no question. No question. No question. See, if you would interview yourself, you're a CEO, if you would take a hundred CEOs out of a hundred CEOs and ask them what are the qualities that they want from the people in their organization, I always get the same answers. They wanna be hardworking, they want 'em to be honest. They want 'em to be focused on excellence. They want 'em to have a positive attitude. And they want 'em to be diligent at their job or whatever the skillset they have. Now, Bill Marriott, who I interviewed on my XM show, who I would encourage everybody to listen to that interview. Either go to my podcast or any way you can find that interview. It's on podcast. 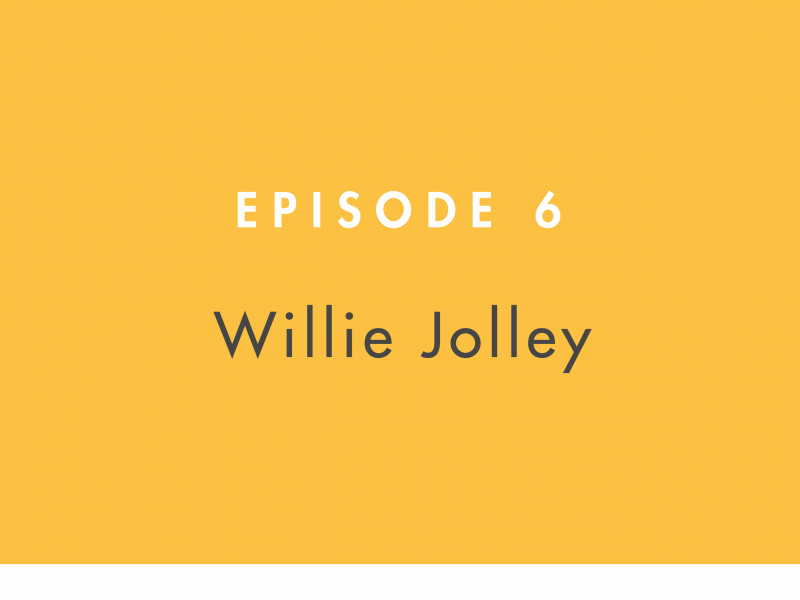 Willie Jollie's Wealthy Ways podcast. Willie Jolley: But it's an interview where he says the reason that Marriott started as a root beer stand with his dad and mom to build the biggest hospitality organization and brand in the world is, "'Cause we hire for attitude and we teach aptitude." Now, what happens if you got a person, though, I say, "What do you do if you got a person on your staff, Mr. Marriott, who you hired before you taught them the great attitude 'cause you expect them to have it?" He said, "Then we work hard at helping them develop a better attitude. We give them resources. We give them mindset changing. 'Cause, see, most people want to be successful. They want to do well. Sometimes they just don't know how to do it. And so, I think back to one of the lessons in the book, "Attitude of Excellence" book, is with the gentleman from the Four Seasons Hotel. Willie Jolley: I'm on a plane. I'm reading the USA Today. And in there is a notice about the latest five star five diamond hotel in America, which is a very high honor. And it was the Four Seasons Hotel in Washington, D.C. I said, "Wow! That's in my city." So I get back to D.C., I called the hotel, ask for the general manager and said to his assistant, "I would love to interview him. I read the article in the USA Today and would I just get a few minutes of his time?" Well, he was very gracious. He called me back and he said, "I will be happy to have you over for breakfast. Come on over for breakfast and we'll find some time to, we'll make a time to talk to you about some of the lessons." I was very gracious. Willie Jolley: I went over, we had breakfast, and he said, "When I took over this job, it was a three star hotel. And as much as I wanted people to be better, they had not had the training or the development or the personal development to become better. So we went on a better campaign. I brought in speakers like yourself. I got them materials that would help them to have a better attitude. And we made a commitment as a group that we were all gonna get 1% better every day. Just 1%. Not 100%. Not 150% better. We were gonna get 1% better every day, every day, every day. And in time we would get 100% or 365% or more. So we wanted to do, whatever we did today, we want to do it better tomorrow. Just incremental growth." Glenn Yeffeth: Oh, I'm sorry, I was just gonna say that lesson ... You know, it's easy to think that people are the way they are, but a lot of it is setting the tone for management and setting the bar for where things outta be. And just, well, just a very silly story from my old firm that I love, but one of our bugbears was we could never start a meeting on time. And it was just so disrespectful and waste of people's time, you know, it'd be 15 minutes before we could get it, and it always drove me crazy. And when they asked me to go down in Dallas, open up an office, I just decided that in Dallas, we were gonna start our meetings on time. After a couple weeks of making it clear that that's just the way we do things, everybody's always on time. You know, at BenBella, we start our meetings on the minute. When we start, we start. If it's 1:30, then we do it at 1:30. Glenn Yeffeth: And I think it's a tiny thing, but it's just an example of something that seems insolvable around people's behavior really is a matter of just setting the right tone at the management level. Willie Jolley: That's right. That's exactly right. And which is what Alan Mulally talked about in the book. He talked about how he turned around Ford, 'cause they were known as a dog-eats-dog culture as well as they were not open and honest about what was going on. And he created this program called the Business Plan Review, the BPR. And every week they'd have a BPR and he'd say, "OK, what's going good, what's going bad, and what's not working?" Well, nobody wanted to come up and say they were struggling with something as part of their ... so everybody always had green lights, green lights, everything's going great. Well he says, "Well, we're on target to lose $17 billion, how can everything be green lighted if we are ... You know, our projection's a $17 billion loss. So, something's not right." Willie Jolley: And finally, one guy after a couple weeks said, "Well, I got a problem." And everybody said, "Oh my goodness, he's getting ready to get fired." And Alan started clapping. He said, "Thank you. I just needed somebody to be honest. And I needed somebody to take this principle that I'm teaching you and step out on faith that you would not be punished for being honest, you would be rewarded for it." And then, they fixed that problem and next week more people opened up. [inaudible 00:23:38] more people opened up. And it started with a mindset shift. And that's what we try and get people to do, get a mindset shift. And if you change you're thinking, you'll change your future. Willie Jolley: You know, Scripture says, "Be ye transformed by the renewal of your mind." And so if you change that thinking, you can change the results of your future. And so that's why it's important that we get these kind of resources and materials, like this new "Attitude of Excellence" is gonna go into places like hospitality places. We've already had Hyatt over the years has bought thousands of them. Marriott has done the same. Blue Cross Blue Shield, USDA, FBI, CIA, Norton Healthcare. I mean, one after another have read it, and Verizon, who I'll get it, somebody will hear about it or ... It is not in a bookstore, remember up until now, in bookstores, it was only delivered initially form me in my office so it was either me calling a friend of mine or a client of mine saying, "Hey, I want you to read this." And each time, I'd get the same response. "I just read your book. Send me a thousand copies." "I just read your book. Send me two thousand, three thousand copies." And I was always shocked 'cause I'd get the same response time after time after time. Willie Jolley: So it was about growing the thinking of your people, 'cause you know if you grow the thinking of your people they will grow the results and the performance and the productivity that they bring to the organization. Glenn Yeffeth: Now, Willie, let's talk a little bit more about that because your track record on doing, not only on the private version of this book but in your earlier books, your track record of corporate sales has been unbelievable. I think I don't have a single author who wouldn't envy that level of sales that you've achieved. What are your secrets for that? Willie Jolley: Well, a couple things. One is that I always try and be honest with people. You know we have a marriage book out. A marriage relationship is also like a business relationship, and if you're gonna have a successful business relationship you've gotta have, like in a marriage, four ... good communication and honest communication. And I call it the four Fs formula that we use in the marriage book to help in business as well. You gotta be friendly. Never start off hostile, 'cause when you put a hostile message out, people put up a defense mechanism. And then they will either respond in a hostile manner or they will shut down. So, start off friendly. But then after you get a friendly start, then be frank. Don't beat around the bush. Don't tell them half-truths. Just tell 'em, "Hey, this is how this is making me feel." And when I say be frank, I don't want you to go in and just be a bull in a china shop, but, "This is how that made me feel. Or, "This is how this is impacting my performance." Or, "This is how this felt to me." Willie Jolley: So be friendly, be frank, then be fair and ask, "Now, I'm not sure why that happened or what, but tell me what was the thinking so we can try and fix that and I can get another perspective: your perspective." So be friendly, be frank, be fair, and then be focused on a positive result. Focused on how this is gonna turn out good for both of us. And as Stephen Covey wrote, he sold millions and millions of books because he helped people understand two principles. One, always seek the win-win relationships. Seek for each person to walk away feeling like they won. And two, seek first to understand than to be understood. So, seek first and let me get what you're saying. And then to be understand. Willie Jolley: So when I would call one of my friends, clients, or people I didn't even know, I'd say, "I got something I really think would be of help to you and your team and I'd like for you to just see and hear about this or read about it or let me tell you a little more about it." And when I'd say, "An Attitude of Excellence", everybody loved those two words: attitude and excellence. 'Cause as I said, we asked a hundred CEOs what they look for when they hire somebody. Attitude and excellence are gonna be in the top 10. Glenn Yeffeth: Yeah, no question. Willie Jolley: No question. And so, when you put two of those top 10 together and you create a bold, strong force to help your folks grow, they say, "Not only did I like it, but I want more copies of it." Glenn Yeffeth: Now, you know, you've been a speaker and you've also been an author and those two, I'm sure, have interacted in terms of each helping the other. What's your advice to an up-and-coming speaker in terms of bringing out a book? Willie Jolley: Well, the key to bring out a book is: one, take your time in terms of putting your thoughts together in a great outline. Start with a great outline. And just an outline of what you want this book to be about, and then make a commitment that you're gonna do some writing every day. And just write every day. It doesn't have to be a long time, but just every day. And the other thing about putting out a book is, while you're doing that, always be developing your relationships because writing the book is about publishing it. Writing and publishing it is about 40% of the success of a great book; 60% is marketing and pushing that book. And as I used to tell, when bookstores were the only way to sell books, I'd tell publishers, and I would say, and I would've said to you but we now got Amazon, but I'd say, "Your job is to get the book in the store, or on the Amazon. My job is to get it out the store." Willie Jolley: And so, I've got to have relationships, I've got to be able to communicate, and I've got to let folks know that I'm willing to go the extra mile to help them to achieve their goals, for this book is nothing if it doesn't help somebody else to have greater success. Glenn Yeffeth: That's absolutely right, and I would say that's actually, it's a more than fair allocation of responsibilities. I feel like it's our job, actually, to put you in a position to sell the book by getting you in the right media, getting you out there, and so on. You know, you're a powerhouse in yourself, but hopefully between the two of us we're gonna get a lot of attention for this. Willie Jolley: Yeah, so I would tell new authors don't go in asking for the publisher to do everything. That's not a good partnership. They got a job to do, you got a job to do. So if you go, you write a good book or the best book you could write, I mean sometimes it's just about the best you can do at this point. I will say that my first book was good. It was very good, "It Only Takes a Minute to Change Your Life". But, I did the best I could where I was. But I sold a lot of those books because I developed great relationships and I was willing to do my part and talk about the book everywhere I could. Every radio, television show, every speech, I'd talk about how this could be a blessing to somebody else and it worked, so twenty years later that book has sold millions of copies and so we're grateful. Glenn Yeffeth: Now, you sorta glossed over this, but you said you toured with Gladys Knight early in your career, and I just wanted maybe you'd just give a few words about that 'cause it's so fascinating. Willie Jolley: Well, it is fascinating. She's a fascinating, fabulous person and I'm very grateful for our friendship. She called, actually we were in our car, my wife and I last week on our way to the airport, and she had called to say hello and see how we were doing. That was so kind of her. But, she is a phenomenal lady. So we get this tour, Les Brown invites me to be on this tour, and I get to open a tour for Gladys Knight, Billy Preston, and Les Brown. So it was phenomenal. Billy Preston, the great organist who played with the Beetles and so many others. And so, I get to meet them, but to get to see them do their thing and be among icons in their fields and to learn how they go on ... Here's what I learned. Willie Jolley: They go on every time and give an A-game performance. Never, "Let me do, I gave A last night, I'm tired tonight." No. A-game every time I get on that stage. A-game. And that's what I've tried to do every time I get up, I'm going. I'm sick, OK I don't care. I didn't get any sleep. I'm jet lagged, I've been flying all day. Nope, no matter what, A-game. And so when we do this book, A-game. Willie Jolley: You know, over the years, Glenn, people have said to me, "You know, you should be putting out a book a month." And I said, "You know what, I appreciate that." "Well you could just have some transcribing of your speeches or transcribing your radio and television shows and just put out a book." I said, "I appreciate that. But you know what, I made a decision years ago that it doesn't hit the street 'til I say it's done, it's good. I can put my name on it." And so if I can't do that it doesn't ... I've got a lot of manuscripts I'm still working on from two, three, four, even one from 20 years. It wasn't right. I couldn't do it. Couldn't put it out. It only meets the audience's eyes when it's ready. Glenn Yeffeth: Now I think that's very wise. I've seen it over and over again, a great book outsells a good book 10:1. Willie Jolley: That's right, that's right. So I'm really, really excited. Let me tell you, man, I must say this. I told my staff, "Y'all all have to read the first part of this book." The whole book, they've read the rest of it, but the first part, the preface and intro is so strong. It is strong and it's just captivating, and I wrote the book! You know, but man the way it was edited and moving ideas around, it almost sings. It sings a song. This is strong. It really is strong. Glenn Yeffeth: I love the excitement you have for this book, which I have as well because that's how you sell books, is hash it. Willie Jolley: Absolutely. So I want everybody to go to Amazon, I mean attitudeofexcellence.com, go to BenBella, get the book. Probably have some free, some things you can download and to look at. We've got some goodies on all of these sites that we'll give you just to let you know we believe in this. So this is a book that you will see we're all in on. So attitudeofexcellence.com, benbella.com, amazon.com, go to your local bookstore. Get the book. Read it. I really believe that if you read it, you're gonna want more copies for your friends, your coworkers, your team, your church members, your community groups 'cause attitude and excellence, two words that are synonymous with longevity and success. Glenn Yeffeth: So well said. Now, let me give you ... You mentioned this, and I want to give you a minute to promote this because I know you and your wife have self-published this and I was fortunate enough to get to have dinner with you and your wife and it was just lovely to see you guys together. Just say a little bit about your marriage book. Willie Jolley: Ah man, thank you so much. You're so kind. Well, my wife and I've been married for 33 years as of this recording, and we're on our way to 34, 35, 40, and ... But anyway, 33 years, haven't had an argument in over 30 years. Willie Jolley: Amazing. Tell you now, we were on a radio show and a lady said, "You've never had an argument?" I said, "I didn't say that. I said we haven't had an argument in 30 years." Those first couple of years were like World War III. We were arguing, and there were some big arguments. We even almost broke up one night over Chinese food. That's how bad our arguing was. But, we learned some principles from some wise mentors, again it goes back to wise mentors. Look, Glenn, there are two ways to get to any goal. Mentors and mistakes. Both will get you there. One just gets you there with less headaches, heartaches, and knots upside your head. So, we both learned from these great mentors about how to disagree without being disagreeable, how to have a happy, successful marriage. Willie Jolley: And it worked, and after 33 years we said, "You know what? These things work." And we had so many people who would ask us, "How is it that you travel together and you work together, you're always holding hands." And so my son said, "Look, I'm tired of y'all having all these people ask me and ask you, I'm gonna push you," and he did push, he pushed us to write a book and the book is called, "Make Love, Make Money, Make it Last! ", and it has just taken off. Willie Jolley: And so I encourage people to go to jolleymarriage.com, jolleymarriage.com. Get a free chapter, one of the most powerful chapters, "How to Disagree Without Being Disagreeable", as well as Friday ... We have Friday events, Saturday events around the country. And every Monday night, as our schedule will allow, at 9 o'clock we do a Facebook Live session just answering questions that come into jolleymarriage.com and helping people 'cause, look, 50% of marriages, as we know, break up. And statistics show of the 50% that remain, statistics show that 40% of those people are miserable. They only stay in it because of economic reasons. So we want 'em to not have to stay in a marriage 'cause they just gotta stay in it but be in a marriage because they really are digging it. So jolleymarriage.com. Thank you for letting me share that, and we're really excited about it. We're really excited about the response with it. Glenn Yeffeth: That's great. No, my pleasure Willie. And I think listeners can see from your energy level, your salesmanship, your passion why you've sold a lot of books, why you continue to, and I think a lot of our listeners are people in the publishing business so I think it's inspirational to them. Now, you've dealt with a few publishers. Any words of wisdom for the publishing business in general? Willie Jolley: Yeah, yeah. I've had a number of publishing arrangements, and real quick for those who are listening who might be authors or publishers, let me tell you my story of publishing. My first book, "It Only Takes a Minute to Change Your Life", came out because I started these one-minute motivational messages that I got on radio with. And people would call and say, "Oh, what was that message?" This was back before internet. And they'd say, "What was that message?" "I heard you today on the radio. Can you fax it to me?" So I'd fax it to 'em. After you get that enough, you say maybe this is something of interest to people. So after a few months of that, I said, "I'm gonna write a book." And it just so happened that I got a letter, not an email because there was no such thing as email back then. A letter from a college book publisher in Fairfax, Virginia who said, "We print college textbooks and we're looking to expand to motivational speakers," and they sent one to everybody in the National Speakers Association Washington, D.C. chapter, which I was one. Glenn Yeffeth: I know Rick. Willie Jolley: Yeah, he's a big-time publicist and he worked with a lot of the big authors. He was in the audience. He went back to New York, called the agent for "Chicken Soup for the Soul", one of the biggest books in history, and said, "There's this guy. This young odd, man this guy is on fire. You better call him. He's gonna be big." So he calls me and says, "I had an agent call me and I hear you got a book." I said, "Yes sir," he said, "I will be in D.C. in a couple weeks. I'd like to have breakfast." We had breakfast. I brought the little book, it was self-published. I brought my little makeshift promotional materials. I mean they were makeshift; they were Xeroxed and stuff like that. Anyway, he said, "Let me see what I can do." He got a book deal with St. Martin's Press. Two books, they took the "Only Takes a Minute" and put it out in paperback globally and then I wrote a second book called "A Setback is a Setup for a Comeback". It became a global bestseller. It still sells well today. Willie Jolley: Then, my next book was with Wiley and I wrote a book called "Turn Setbacks into Greenbacks". And then the next book was with Greenleaf. And so we've just done one book after another. And I've learned from publishers, here's what you gotta do. What I loved about you. When we decided to go with this book and not only have its private label anymore but to go public, my agent called you and I talked to a number of publishers. And they were all making offers. And what I liked about you, this is for publishers to hear. And for authors. BenBella said, "Look. We are a partnership. We are a partnership. We do this together. And I want your ideas and I hope you listen to my ideas," and that, "We can do this together and we can succeed together." And I said, "Wow, that's a different strategy," 'cause usually it's them against us or us against them, and from day one we've taken each other’s' content, ideas, respecting each other’s' calls. It's been good. It's been great. And I think it's gonna get even better. Willie Jolley: And so that is, I think, what is going to be the earmarks for future publishing. That you don't see it as us against them or we're the publisher and you're the author and we make all the decisions and you just go along or vice versa. You know, it's all in this together 'cause we all win together. So, I'm really excited about that and I think that if others would take this philosophy that one, a publisher's job is to create a great product, put it everywhere, get great marketing. The author's job is to sell it. Just sell it every which way they can. To do radio and television interviews. To be open to do guest appearances where they may not get paid to go places to promote that book. And to be mindful that this is a partnership that [inaudible 00:42:49] are gonna be the stories. And I believe in a year, two years, you're gonna see this book having tremendous, tremendous impact not only in America but globally, and that you're gonna see it at the top of a lot of the bestsellers lists. Willie Jolley: But more importantly than the sales and the accolades, it's the companies that used it to grow their business. Al Cornish said to me, from Norton Healthcare, when he called today, he said, "That book has truly helped our company to grow. We are thriving now in ways we have never thrived before and I wanna thank you for your input in getting it." I told him, "Wait 'til you read the new version. It's dynamite." He said, "I can't wait." So [inaudible 00:43:34] sending him a copy today. Glenn Yeffeth: That's great. Well thank you, that's well said. Now, you're right. Obviously we're all in this business to make money, but we're not only in this business to make money because there are probably a lot easier ways of making money. We're in this business to help people and be of service. And I know that you and [inaudible 00:43:54] and we try to do that as well. Willie Jolley: Ah man, well y'all have done that. So I wanna encourage people. Go get some of the free stuff that we're gonna offer for this book. We've got poems, we've got idea- ... I even got a new music project that is gonna be rolling out with this book that we're gonna be rolling out called, "It's All About Your Attitude", and it's dynamite. And you'll be able to hear that. So we're gonna have all sorts of podcasts and ideas. And let me tell you one more thing. We want your ideas. If you're listening to this podcast and you say, "You know what? I love that idea. And I got a idea about x." Please, reach out to us. Reach out to me. Send me an email, info@williejolley.com. Info, I-N-F- as in Frank O- at Willie, W-I-L-L-I-E-J-O-L-L-E-Y dot com, info@williejolley.com with an E in Jolley. And say, "Hey, I got an idea. I heard you on the podcast. I got a idea for you." Willie Jolley: One other thing I wanna do, and I always like to give people gifts. So, if you will just send me an email at info@williejolley.com and say, "I heard you Glenn's podcast," we'll send you a digital gift just to say thank you for listening because we develop relationships. And it's all about relationships. So just say, "I heard you on Glenn's podcast and I want my gift." We'll send you something. Glenn Yeffeth: That's very nice. Willie, this has been fantastic. It's been a pleasure working with you and I'm looking forward to much, much more. So thank you so much for making the time for this. Willie Jolley: Well it was my joy, my privilege, my pleasure, and I'm really looking forward ... So here's my closing thoughts for all the people who are listening. Is one, please send us your email if you'd like your gift. Two, send us your questions or ideas if you like to have some new thoughts that we haven't thought of for we want ideas from everybody. Three, got to jolleymarriage.com, get the free chapter for the marriage book. If you're married or you're not married, there's a chapter there for single people. Four is that we want you to go to attitudeofexcellence.com, also the BenBella site and Amazon. Get the free things we have. Get the downloads and get the books. Get many books, get lots of them. Willie Jolley: And finally, follow your dream. Follow your dream wherever it leads. Don't be distracted by less worthy needs. Shelter it, nourish it, help it to grow. Hold your dream deep, down deep where dreams grow. Follow your dream. Pursue it with haste. Life is too precious to flee to waste. Be faithful, be loyal, and all the day through, the dream that you follow will keep coming true. It's been a privilege and a pleasure, a treat and a treasure, a joy beyond measure for me to be on with Glenn Yeffeth and I am honored to call him my friend. Glenn Yeffeth: Thank you Willie so much. Take care, everybody. Glenn Yeffeth: Thank you for listening to the Building Books podcast. If you enjoyed it, please leave a review on iTunes or wherever you happened to listen to it, or share it on social media. If you're an author who wants to submit a proposal or pitch to BenBella Books, please go to benbellabooks.com, click on the "For Prospective Authors" button and it'll lead you through our little form that makes it real easy to submit to us. Thank you.